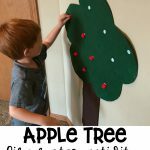 Here’s a quick and easy fine motor apple activity. 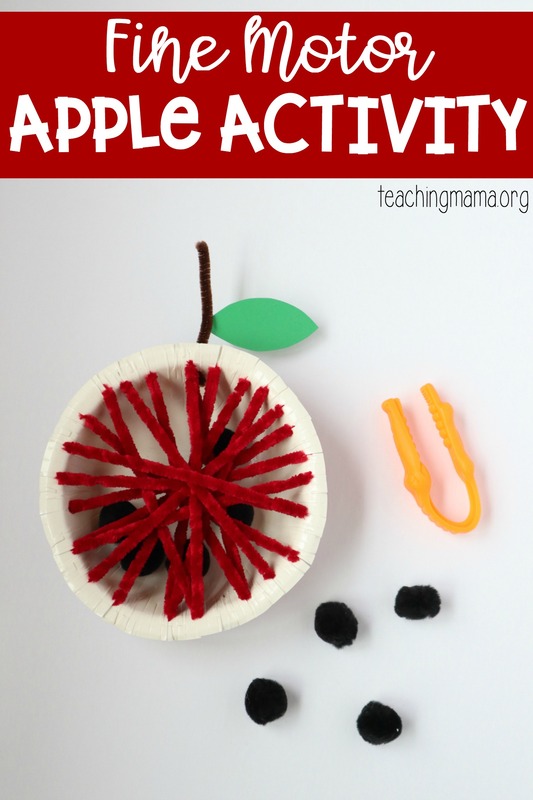 Instead of using real apples, you will make a simple activity using a paper bowl, yarn, and pom poms! 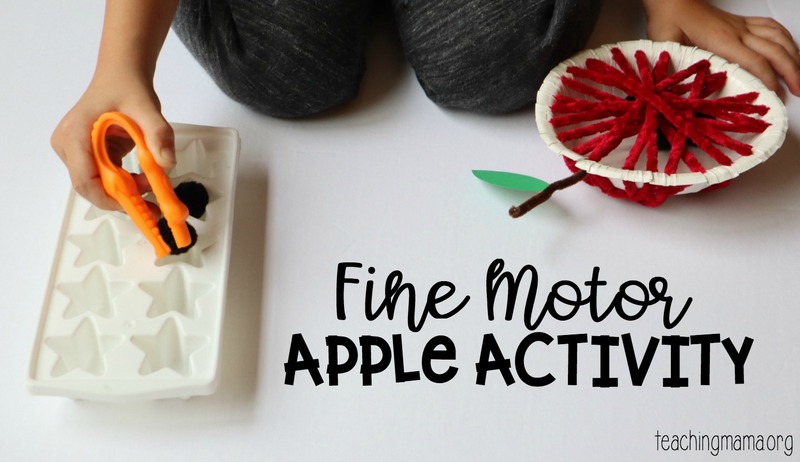 This activity is a fun, hands-on way to practice fine motor skills. To begin, you’ll need to use scissors to make notches around the bowl. You’ll want to space the cuts about a 1/2 inch apart. 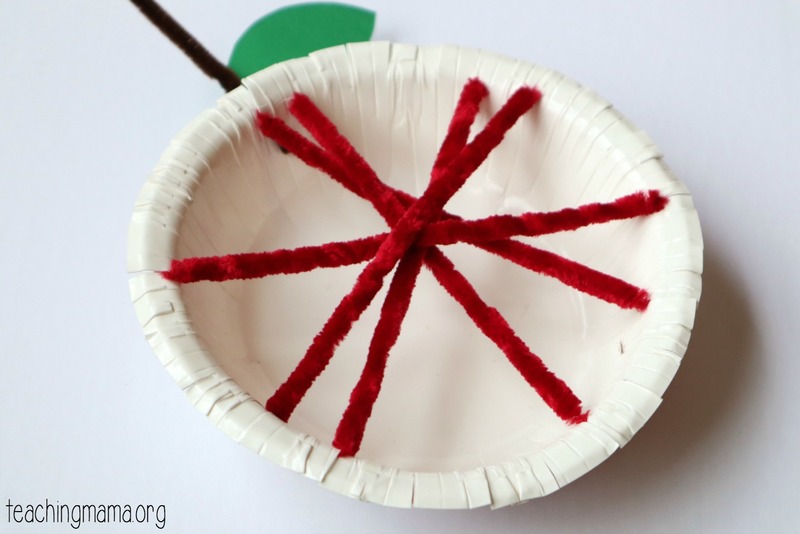 Tape the end of the red yarn to the back of the bowl. Weave the yarn around the bowl, going through the notches to make it look like a web. When the web is complete, tape the end to the back of the bowl. Then add in some black pom poms. 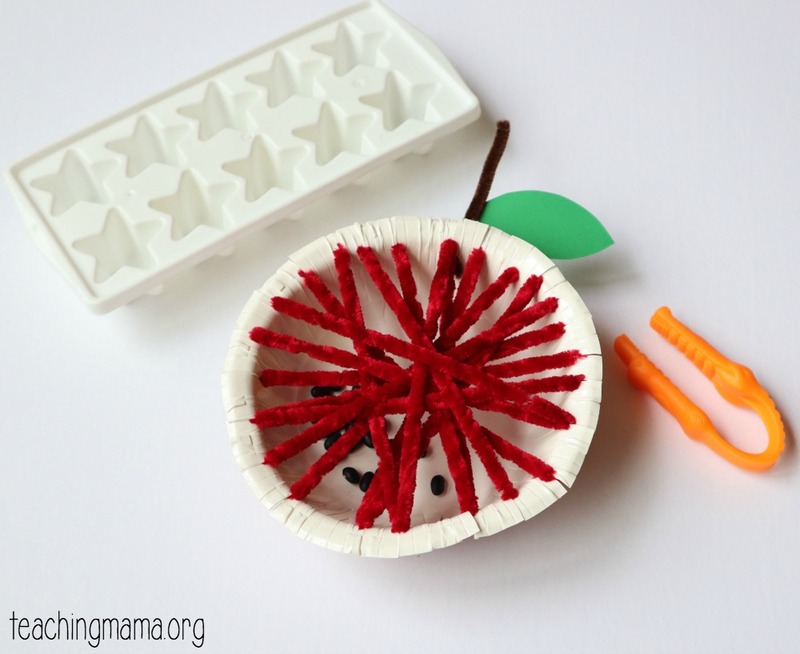 Invite your child to use kid tweezers to remove the “seeds” from the apple. 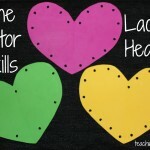 Then add in some black pom poms. 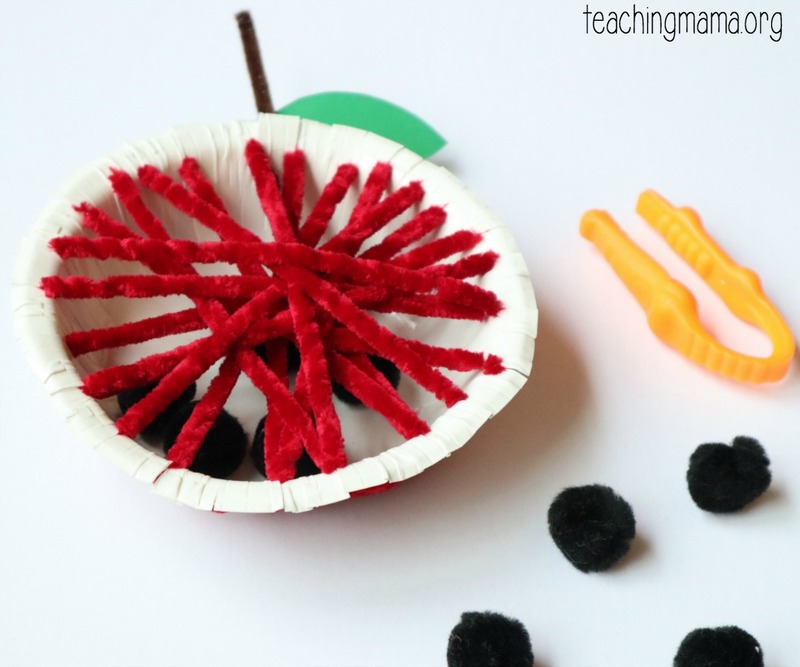 Invite your child to use kid tweezers to remove the “seeds” from the apple. 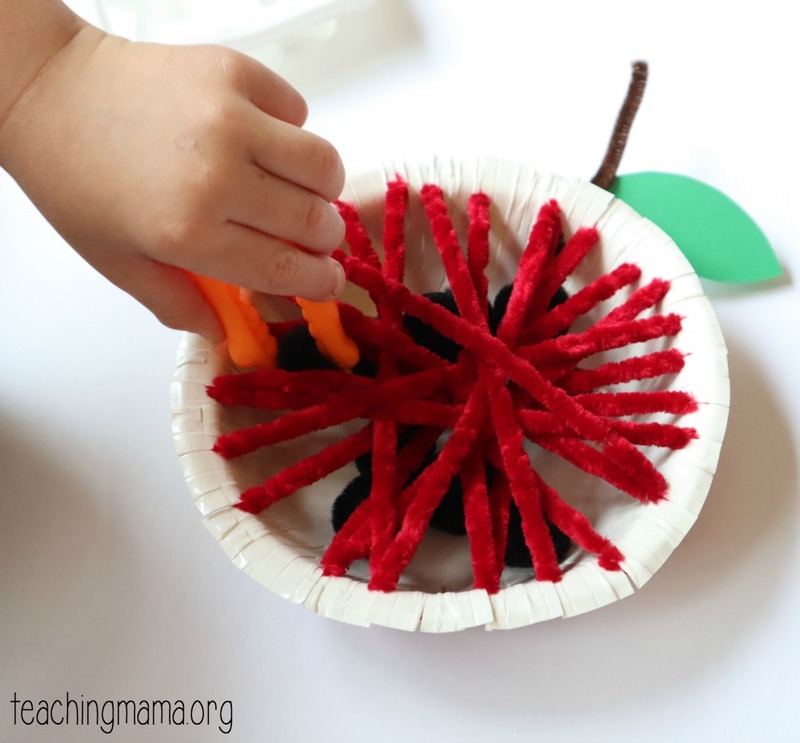 Pom poms are easy to grab using the tweezers, but they will require the use of fine motor skills. It’s not always easy to use tweezers, so if your little one has a hard time that’s ok! Keep practicing and they will get it. 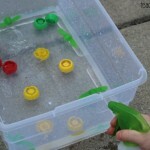 We used an ice cube tray for my boys to set the pom poms into. If you want to try a harder version, you can put dry black beans in the bowl. They are definitely harder to grab with tweezers! 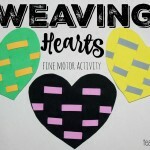 This is such a simple activity! 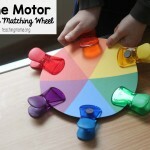 You could do this at home to reinforce fine motor skills or in a classroom as a large group, small group, or in a center. 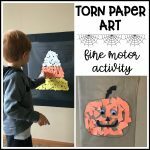 Hope you’ll give this a try!